Mackenzie’s family first came to CFOH in June 2013, after the then-3-year-old had been diagnosed with stage 3 hepatoblastoma, a malignant form of liver cancer. Mackenzie was being treated at Duke Medical Center, where she was given the option of having a complete liver transplant, or she could go to Lurie Children’s Hospital of Chicago to undergo resection surgery to remove only the damaged part of her liver. At her Duke physician’s recommendation, Mackenzie’s family opted for the latter, which would eliminate the need for Mackenzie to be on medication for the remainder of her life. 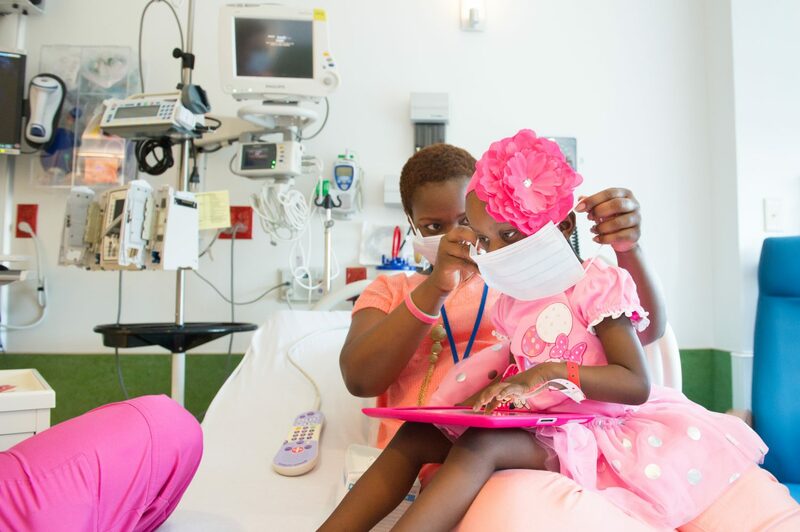 During the course of her initial chemotherapy at Duke, Mackenzie’s mother Ebony took leave from her job to care for her child. This cut the family’s income significantly and they struggled to determine how to pay for the flights needed to travel to Chicago, not to mention the cost of the one-month stay required for the surgery. Ebony contacted CFOH and within eight days we had made flight arrangements for the family to travel. Mackenzie celebrated her fifth birthday on July 31, 2015. She is now cancer-free and, like many other kids her age, attends kindergarten, plays tennis, and takes dance lessons.